Are you Fire Safety Engineer ? Looking for a Job Change ? then you must read this article which covers gas detects interview questions and answers for your interview preparation. All the Best. How carbon monoxide detectors work? Carbon monoxide gas detectors sound an alarm when they sense a certain amount of carbon monoxide in the air over time. Different types of alarms are triggered by different types of sensors. What are TWA and STEL? TWA stands for Time Weight Average. This in reference to dosages of toxic gas you may encounter in the work place. It is based on an 8 hour day/ 40 hour work week. TWA is a term established by the American Conference of Governmental Industrial Hygienists (ACGIH). STEL stands for Short Term Exposure Limit. This is the average amount of gas you can be exposed to in a 15 minute period with no long term health effects. This may occur 4 times a day. STEL is a term established by the ACGIH. Explain about Common units for measuring concentration ? This unit expresses concentration in parts per hundred (percentage) of a substance in 100mL of a medium such as air. This unit that expresses concentration in parts per million is measured as the volume (denoted in litres [L]) of a substance found in 1L of a medium such as air. This unit expresses the concentration in one cubic metre of air (equivalent to 1L or 1000mL) of a substance in terms of its mass (measured in milligrams). It is primarily used for particle-like substances, and only rarely for gaseous concentrations. This unit expresses the concentration in one litre of air (1000mL) of a substance in terms of its mass (measured in milligrams). It is generally used for measuring concentrations in liquids, and only rarely for gaseous concentrations. Explain different Gas Conversion Formulas for Converting from one unit of concentration to another ? 273(K): FK stands for Kelvin, the unit used to measure thermodynamic temperature; as 0ºC corresponds to 273.15K. How often do we need to calibrate gas monitor? This is a controversial subject. OSHA would have you calibrate your gas detector before each use. In practice, our customers come up with their own intervals. If the gas monitor is used infrequently, say once a month, it should be calibrated every time to give you confidence that the unit is going to respond as it should. If your company uses its detection device a few times a week, then our customers have told us they do an occasional bump test and calibrate less often. How to clean gas monitor? You should follow each manufacturer’s directions. For BW Honeywell Gas Detectors the manufacturer recommends the use of a soft damp cloth. The only approved cleaner is ACL Staticide. You should avoid exposing the sensor screens to moisture. DO NOT use computer keyboard air dusters to clean debris from sensor filters or products such as EconoClean, WD40, etc. as these will destroy the sensors. The most widely accepted definition is that air is oxygen deficient whenever concentration is less than 19.5%. This occurrence is often associated with confined spaces, unventilated cellars, sewers, wells, mines, ship holds, tanks, and enclosures containing inert atmospheres. Typical causes are displacement, microbial action, oxidation, combustion and absorption. In terms of OSHA and NIOSH safety requirements, a “confined space” refers to an area whose enclosed environment and limited access make it dangerous to people working there. Anywhere access or egress is limited, or that may contain hazardous atmospheres (too low or enriched oxygen levels, toxic or flammable gases) will likely be classified as a confined space for workers. Confined spaces can be above or below ground level. Examples of confined spaces include inside airplane wings, tanks, pipes and sewers, ventilation shafts, electrical service rooms, vats, and silos. UEL – Upper Explosive Limit. Most, but not all, combustible gases have an upper explosive limit which is the maximum concentration in air which will support combustion. Concentrations which are above the U.E.L. are too “rich” to burn. What are the three basic kinds of atmospheric hazards? Lower flammability limit (LFL) usually expressed in volume percent, is the lower end of the concentration range over which a flammable mixture of gas or vapour in air can be ignited at a given temperature and pressure. The flammability range is delineated by the upper and lower flammability limits. Outside this range of air/vapor mixtures, the mixture cannot be ignited (unless the temperature and pressure are increased). ppm.m (parts per million metre) is the recognised unit of measure for a toxic or flammable gas being detected over an open path. 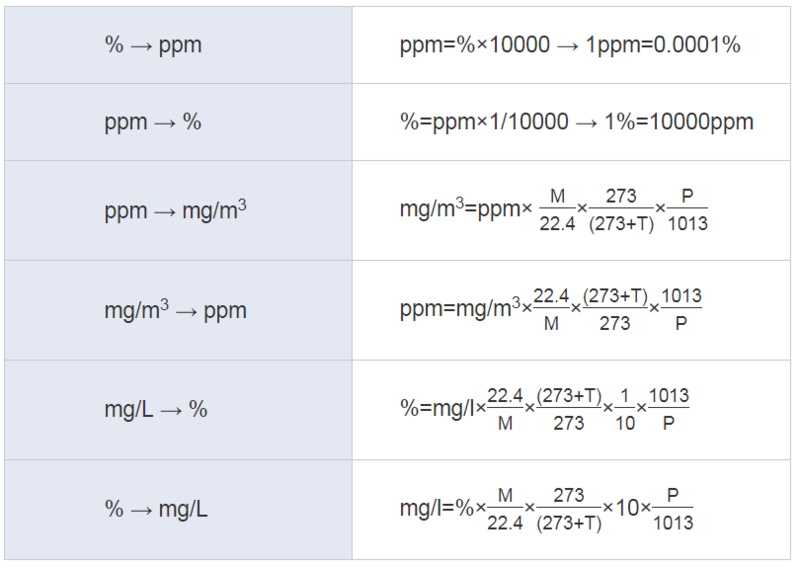 For example 250 ppm.m can represent a 1 meter wide gas cloud whose concentration is 250 ppm of the target gas or a 2 meter gas cloud with a concentration of 125 ppm. What Is a Bump Test ? Why is LEL important in Combustible Gas Detection ? In environments with combustible gas hazards, it is important to know long before the gas concentration reaches the LEL. Typical safety standards require that a gas detection unit give warnings at 10 – 20% of the LEL. Do not confuse the alarm level with the volume of gas required to reach the LEL. For example: Methane has an LEL of 5% by volume in air. For a gas detector to give an alarm at 10% of the LEL, it must trigger when it detects 0.5% by volume. The detector for this application would most likely be calibrated for the range from 0% to 5% gas by volume, but display the reading as 0 – 100% LEL. If you have a flameproof fixed detector (Ex) can you make it “intrinsically safe” (IS) by using a zener barrier or galvanic isolator? No, a flameproof detector “safety protection” cannot be changed by using a zener barrier or galvanic isolator of any sort. It can only be used as a flameproof device. If you have a “intrinsically safe” (IS) fixed detector do you need a zener barrier or galvanic isolator when used in a hazardous zoned area 0, 1 or 2 for example? Yes you must use a zener barrier or a galvanic isolator to comply with the detectors certification requirements. A zener barrier or Galvanic isolator must be used when a “intrinsically safe” (IS) detector is used in a hazardous zoned area. What are the mounting heights for CO gas detectors and NO2 gas detectors? Carbon Monoxide (CO) gas has a slightly lower density than air. Recommended mounting height for Carbon Monoxide (CO) gas detector is 1.5 m above floor. Nitrogen Dioxide (NO2) gas is heavier than air and sinks in the air. Recommended mounting height for Nitrogen Dioxide (NO2) gas detector is 0.2 meter above the floor. According in garages are concentrations expected less 1%VOL and because of thermal an convection of gas the spreading is at whole area. 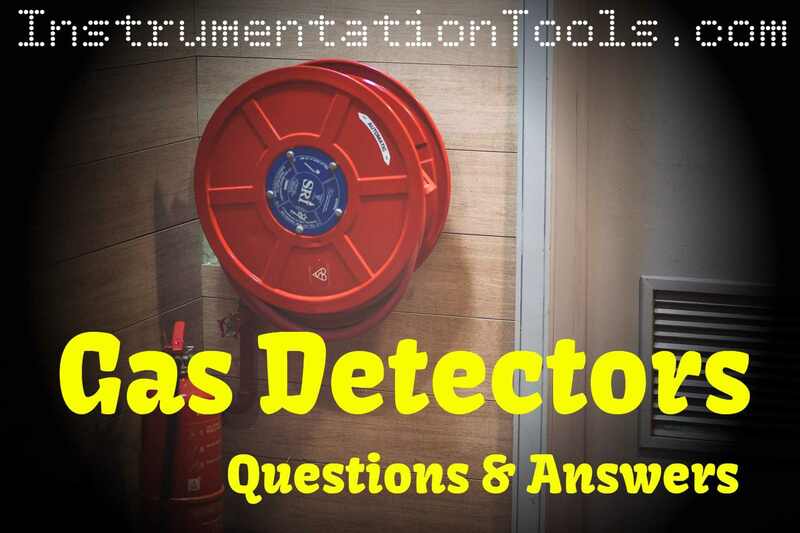 What is the gas sensor (cell) life time for CO gas detectors and NO2 gas detectors? CO gas sensor (cell) life expectancy is 5 years, normal operation environment. NO2 gas sensor (cell) life expectancy is 2 years, normal operation environment. If gas sensor (cell) is intensively exposed for fumes (gas) the life time is shorter. If gas sensor (cell) is less exposed for fumes (gas) the life time can be longer. What kind of substance is carbon monoxide? A colourless, odourless, highly toxic gas that is formed whenever incomplete combustion of carbon, or carbon-containing compounds occurs. In our immediate environment it frequently is given off by industrial gas burners, and as it can be found in automotive exhaust or cigarette smoke it tends to accumulate in poorly ventilated places like congested road tunnels or bars at levels approaching or even exceeding the 50ppm threshold. What are the symptoms that carbon monoxide has been inhaled? CO depletes the oxygen in the blood hemoglobin leading to such typical symptoms as headaches, nausea, dizziness, etc. What kind of substance is hydrogen sulphide? H2S is a colourless, toxic, flammable gas that occurs naturally in volcanic vapours, hot springs; and it often is generated through the hydrolysis of sulphide salts especially where bacteria break down organic matter in the absence of oxygen, e.g. in swamps, sewers, rivers, harbours, etc. It also occurs as a man-made by-product in such industrial facilities as chemical plants, paper mills, oil refineries, etc. What are the symptoms that hydrogen sulphide has been inhaled? H2S is absorbed into the bloodstream, and transmitted to the nervous system via the lungs, Low concentrations are oxidised in the blood and quickly become harmless; high concentrations have a sweetish aroma and a neurotoxic effect, irritating the mucous membranes in the nose, throat, eyes; may cause subacute poisoning or affect the olfactory nerve to the point of losing one’s sense of smell. Basically, hydrogen sulphide is one of the more common pungent odour-emitting and discomfort-causing substances. What kind of substance is ammonia? It is given off in the biodegrading process by microbes (in nature), and as a byproduct of seafood processing. Besides being a common synthetically produced inorganic component of nitric acid and fertiliser, it also has a broad range of other industrial uses. Since, ammonia does not harm the ozone layer, it has increasingly been coming into use as a refrigerator coolant. What are the symptoms that ammonia has been inhaled? Ammonia is one of the typical, malodourous substances, which cause discomfort. Inhalation of high concentrations is liable to cause pulmonary oedema. Contact with the skin or mucous membranes causes irritation that may penetrate as far as the inner tissue. When the eyes come into contact with high ammonia concentrations, visual impairment may result. What kind of substance is carbon dioxide (CO2)? Generally carbon dioxide is generated during the respiratory process of animals and plants and when microbes break down organic or when carbon materials combust. It is necessary for the process of photosynthesis in plants. In recent years the amount of CO2 has been increasing, and is becoming a serious factor contributing to global warming, the “greenhouse effect”. What are the symptoms that carbon dioxide has been inhaled? Although, it is extremely rare for weak carbon dioxide poisoning to have any ill effects, high concentrations can cause carbon dioxide narcosis, and in extreme cases even be lethal. What kind of substance is oxygen? Oxygen, the most abundant naturally occurring gas, is discharged into the atmosphere through the process of plant photosynthesis. It is consumed during the respiration process of flora and fauna, photosynthesis in plants, as ell as combustion processes. The oxygen content in air is about 21%, in water 88.8%, and in the human body it is about 65%. What are the symptoms of extreme oxygen deficiency? Not enough oxygen in the ambient air can be fatal, causing hypoxia (deprivation of an adequate oxygen supply for the body. On the other hand, excessive oxygen in the air poses a fire hazard as it lowers the combustion temperature of flammable materials, and it serves as an accelerant as well. What kind of substance is sulphur dioxide (SO2)? Sulphur dioxide gas (sometimes also called sulphurous acid gas) has a strong pungent smell. It is produced industrially, by roasting pyrites or sulphur in the presence of air. Moreover, it occurs naturally in volcanic gas and it is a byproduct of fossil fuel (oil, coal, etc.) combustion that is a cause of air pollution. What are the symptoms that sulphur dioxide has been inhaled? High concentrations cause severe irritation of eyes, nose, and throat. When it dissolves in the water content of the skin, a corrosive acid (sulphurous acid) is formed. Prolonged exposure can cause glottal and pulmonary oedema seriously affecting the respiratory process. What kind of substance is ozone? Ozone (O3) is actually a triatomic allotrope of oxygen: one ozone molecule contains one (radical) oxygen atom more than diatomic O2 (from which it can also be formed by action of high energy electromagnetic radiation). Paradoxically, although the ozone layer in the atmosphere (approximate O3 concentration: 0.005ppm) protects the earth from the sun’s ultraviolet light, at ground level in coastal regions (where ultraviolet light is particularly intense) 0.05ppm of ozone can be found. Because ozone is highly oxidisable, it is used for sterilization, disinfection, bleaching, and as an oxidant and such in organic synthesis. How does ozone affect the human body? When 0.1ppm of ozone are inhaled for two hours, the lung capacity can decrease by 20% or so. Headaches or bronchitis may result when a concentration of 1ppm is inhaled for six hours. In experiments, when laboratory rats inhaled 10ppm, they suffered pulmonary oedema and died which indicates a comparable degree of toxicity as phosgene, which is widely-acknowledged as a highly toxic gas. What are the common methods for analysing / measuring ozone? A typical analysis method involves the use of a potassium iodide solution to absorb ozone and determine the concentration by absorptiometry. Other practical methods entail the use of instruments for measuring ultraviolet (UV) light absorption, chemiluminescence, controlled potential electrolysis (CPE), or galvanic cells. What kind of substance is methane? Methane, a colourless and odourless gas has long been known as a chief ingredient of swamp gas. Methane gas is formed as organic matter such as cellulose decays in the mud of marshes or other wetlands. It is flammable and when mixed with air can become volatile enough to explode. It often accumulates in underground passageways/conduits (including mine shafts and sewers) where it can pose a serious explosion hazard. How does methane affect the human body? Methane in itself is harmless, but when its concentration rises, the oxygen concentration falls which can cause hypoxia. Where is nitrogen oxides measurement mainly conducted? Today, their primary sources include automobile exhaust and factory emissions; although heating and cooking fumes do their part as well. What kind of substance is nitrogen oxides? One of the most common nitrogen oxides is nitrogen monoxide (NO) which most commonly is generated during high temperature combustion; however, when nitrogen monoxide is discharged into the atmosphere, it oxidises into nitrogen dioxide (NO2). When this process occurs under certain meteorological conditions where the interaction of ultraviolet light as well as the presence of hydrocarbons come into play, photochemical smog is created. To regulate nitrogen dioxide emissions (which are inherently more toxic and hazardous than NO), a number of environmental standards are in place. How do nitrogen oxides affect the human body? It is extremely rare for nitrogen monoxide (NO) or nitrogen dioxide (NO2) to be present without the other. Nitrogen dioxide is toxic and, in high concentrations, strongly irritates eyes, nose, and throat, causing a cough or even pharyngalgia at times, dizziness, headaches, or nausea at times. If a large quantity is inhaled, the lips turn blue 5-10 hours later, and cyanosis may occur in addition to pulmonary oedema. Even low concentrations generally becomes a problem and raises chronic bronchitis, gastrointestinal dysfunctions, teeth problems and sleep disturbance as chronic symptoms. In addition, it weakens the body’s immune system. What kind of substance is trichloroethylene? Trichloroethylene is very volatile and in its liquid state at normal temperatures. It is commonly used to degrease metal machine parts and when it seeps underground it sometimes contaminates wells or groundwater which is increasingly becoming a problem in recent years. What kind of substance is chlorine? Chlorine, a highly caustic gas with a strong irritating odour, does not occur naturally as such. Chlorine-based solvents such as chloroethylene or organochlorine and inorganic chlorine compounds are widely used as source material in a broad range of products and processes including paper bleach, pulp fiber, medical supplies, pesticides, pigment dye, mineral ore refinement and metal processing. Moreover, urban drinking water which we use every day contains chlorine as a disinfectant to eliminate bacteria. How does chlorine affect the human body? Inflammation is caused when chlorine comes into contact with the skin. When inhaled, causes coughing and dyspnea, and even death. Chronic symptoms include bronchitis, inflammation of nasal mucous membranes. What kind of substance is hydrogen cyanide? Also known as hydrocyanic or prussic acid, hydrogen cyanide is a clear colourless gas with a faintly bitter almond-like odour that is volatile in its liquid state with a boiling point of 25.7ºC (78.26ºF) and a ignition point of 17.8ºC (64ºF). It is soluble in water and often used as an aqueous solution. Its vapour density is slightly less than air (0.947) and its LEL (lower explosion limit) is 5.6% and its UEL (upper explosion limit) is 40%. It is chiefly used as a source material for various organic compounds such as acrylonitrile, or for potassium cyanide as well as in insecticides/pesticides, etc. How does hydrogen cyanide affect the human body? Hydrogen cyanide (HCN) is one of the most lethal poisons, being twice as toxic as potassium cyanide. It can be fatal not only when swallowed, but, even when it merely comes into contact with the skin. Characteristic of hydrogen cyanide poisoning is how quick it acts. It takes between a few seconds and 30 minutes maximum for a fatal dose (300ppm or more) to kill an adult. Hence, any emergency first aid (detox) measures must be immediately and swiftly initiated or it will be too late. When the gas is inhaled it may cause headaches, dizziness, ringing in the ears, or vomiting and in severe cases, unconsciousness, or even death. What kind of substance is arsenic? Arsenic is a fairly common fragile crystalline metalloid ranging in colour from silver-white to black. It can be produced industrially through a chemical reaction using carbon to reduce arsenious acid in to its elements. All compounds containing arsenic are toxic and when they comes in contact with acid or acid vapour, a highly toxic gas (arsine) occurs. It is mainly used in insecticides, herbicides, desiccants, and in semiconductor fabrication. How does arsenic affect the human body? It frequently affects the function of the digestive organs, causing loss of appetite, convulsions, nausea, constipation or diarrhea, hepatic disorders, and in severe cases, blood may be vomited up or found in feces, leading to a state of collapse or shock, and in extreme cases may be fatal. Moreover, it is considered to have carcinogenic effects on skin, lungs, and liver, too. What kind of substance is a hydrogen peroxide? Hydrogen peroxide is a clear, unscented and oily liquid that is water insoluble. It can be extracted with mercury oxide after dissolving α-ethyl anthraquinone in an industrial solvent and oxidising in a (redox reaction). In general, hydrogen peroxide is commercially available as a 30% solution. It also interacts as a reducing agent and a powerful oxidiser. When metal catalysts in fine particle form (e.g. copper, silver or platinum) trigger decomposition, high concentrations of oxygen/steam are produced that can combust explosively. Hence, hydrogen peroxide is used in 3% solutions not only as a disinfectant, or a bleaching agent for paper, pulp, and natural fibers, but, also as an oxidiser, sterilizer, reducing agent, and even as liquid rocket fuel. How does it affect the human body? It is highly caustic to skin and mucous membranes, while a 30% solution can cause severe inflammation of eyes and skin upon contact. It is commonly known, that in work environments where hydrogen peroxide is in use, exposure to the vapour can have a bleaching effect on hair. If larger quantities are ingested, gastritis and acute toxic effects such as esophagitis, and chronic toxicity symptoms are likely. What kind of substance is hydrogen chloride? HCl is a strongly pungent, colourless to slightly yellowish gas. In nature it occurs in volcanic gas and in the human body’s gastric juices as hydrochloric acid (HCl dissolved in water). It can be produced by the direct reaction of hydrogen and chlorine, or in a laboratory by dripping concentrated hydrochloric acid into a strong sulphuric acid solution. Generally it is marketed as hydrochloric acid in 35-37% concentrations. Its main uses are in the production of: medical supplies, pigment dye intermediates, inorganic chlorides, chloroethylene (i.e. vinyl chloride), methyl chloride as well as etchants (i.e. etching solutions). How does hydrogen chloride affect the human body? Contact with eyes or skin causes inflammation. When inhaled, it irritates mucous membranes in throat or nose, and causes coughing. When substantial amounts are inhaled it can cause pulmonary oedema and even death. What kind of substance is sulphuric acid? One common production method involves burning sulphur or pyrites (usually iron sulphide), to obtain sulphur dioxide which is then oxidised, and dissolved in water. Sulphuric acid is one of the most common basic materials, and it is used in fertiliser, pigment dye, petroleum refining, organic compound production, as well as myriad other uses in the chemical industry. How does sulphuric acid affect the human body? Contact with the skin can cause dermal dehydration or corrosion and severe acid burns. If its vapour is inhaled for longer periods, tooth erosion, damage to respiratory organs, and even pneumonia or pulmonary oedema can ensue. Extended contact with the eyes can cause blindness. What kind of substance is ethylene oxide? It is a colourless highly water-soluble substance that is in its gaseous state at normal (room) temperature and has an ether-like odour. It is frequently used in organic compound formation, as a colourant, surface-active agent (surfactant), as well as for sterilizing medical instruments. Its explosive range is very wide with an LEL (lower explosive limit) of 3.0% and a UEL (upper explosive limit) of 100%. With a very low ignition point of -17.8ºC (0ºF), its vapour is volatile enough to explode even in the absence of air / oxygen. Moreover, as there are indications that it may be a carcinogen, the Japan Society for Occupational Health and the ACGIH stipulate a TLV (Threshold Limit Value) and administrative concentration threshold of 1ppm. In addition, in Japan Air Pollution Control Law it is included among the “Substances Requiring Priority Action” as it is thought to pose a significant health risk among the hazardous air contaminants. How is ethylene oxide measured ? As part of the leak check protocol for comparatively high concentrations, it is measured with (flammable) gas detector alarms, gas detector tubes, etc. To measure ethylene oxide in ambient air, various contaminant measurement manuals recommend solid-phase sampling involving solvent-extraction gas chromatographic mass spectrometry. In general, working environment standards prescribe gas chromatography of substances in solid state. What kind of gas is chlorine dioxide? It has a pungent odor, is heavier than air, and is red to yellow in colour. It readily dissolves in water (Solubility: 0.8 g/100 ml at 20ºC), and is often used even as a solution in water. Chlorine dioxide itself is incombustible, but has extremely high oxidizability, and poses a danger of fire or explosion due to contact with combustible matter or reductive matter, or as a result of exposure to heat, sunlight, impact, or sparks. Representative industrial applications include disinfectant, which utilizes this powerful oxidation reaction, and also bleaching agent for fibers, pulp and foodstuffs. When using chlorine-base bleaching agent or detergent, for example, it is necessary to take care because chlorine dioxide may be inadvertently generated. How does chlorine dioxide affect the human body? Chlorine dioxide has even greater irritability and toxicity than chlorine, and seriously irritates the eyes, skin and windpipe. It has been reported that at a concentration of 5 ppm, chlorine dioxide exhibits definite irritability, while at 20 ppm, it can result in death in a short time, and even at 0.1 ppm, chronic exposure to chlorine dioxide may result in various symptoms such as inflammation of the windpipe. Acute symptoms such as pulmonary edema may occur after several hours of exposure, so when there is acute exposure it is essential to obtain a diagnosis of a physician and also subsequent follow-up. What kind of substance is mercury? Mercury is a liquid that shines silver-white. It is the only metal that is a liquid at normal temperature. The specific gravity of mercury is an extremely high value of 13.6, making it very heavy. On the other hand, it readily evaporates, and easily forms amalgams with a variety of metals. Mercury is a highly toxic substance as is also evidenced by reports concerning poisoning due to methyl mercury. However, it is widely used not only as an industrial reagent, but also in measuring instruments such as thermometres, and also in agriculture, batteries (at present, it is used only in button batteries), and in drugs and medicines. In days gone by, if you cut or grazed yourself, the first thing that you did was apply mercurochrome to the wound. Previously, mercurochrome was kept in all homes as a household antiseptic, but nowadays it is virtually no longer used because it uses mercury (its use is not prohibited, and if you go to a chemist’s shop you can still purchase it). How does mercury affect the human body? If mercury vapour is inhaled, various psychological symptoms such as loss of appetite, a headache, heaviness of the head, general malaise, minor trembling, and insomnia are likely to occur. Mercury is also absorbed through the skin. The allowable concentration of mercury stipulated by the Japan Association of Industrial Health is 0.025 mg/m3 for mercury vapour. The value stipulated by TLV (TWA) of ACGIH, for both a single element and an inorganic compound, is 0.025 mg/m3, and the value at the control temperature stipulated by the Ministry of Health, Labour and Welfare is 0.05 mg/m3. What kind of substance is tetrachloroethylene? This substance is also called perchloroethylene. It is a volatile substance which is colourless and emits a characteristic odor. Tetrachloroethylene is noncombustible and easily dissolves oil, so it is used as a solvent for dry cleaning and also for degreasing and washing metal parts. Previously, tetrachloroethylene was covered by the Ordinance On Prevention of Organic Solvent Poisoning. In 2014, however, this ordinance was revised to become the Ordinance on Prevention of Hazards due to Specified Chemical Substances. As a result, tetrachloroethylene came to be ranked as a “special organic solvent, etc.” among type 2 substances of specific chemical substances. It also became a special controlled substance, and it became mandatory to devise measures based on its carcinogenicity. In addition, according to the partial revision of the Work Environment Evaluation Criteria, the control concentration will be reduced from 50 ppm to 25 ppm commencing October 1, 2016. What is Bump Testing ?